Runner games aren't exactly thin on the ground on the Play Store - we've essentially stopped covering them unless they offer something new and unique to players. 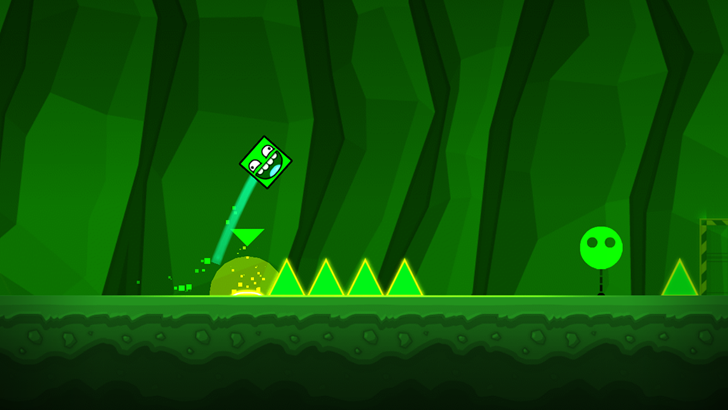 Geometry Dash isn't exactly groundbreaking in terms of its actual structure, but the execution of its rhythm-based gameplay and the polish of the levels have earned it a small but dedicated fanbase. 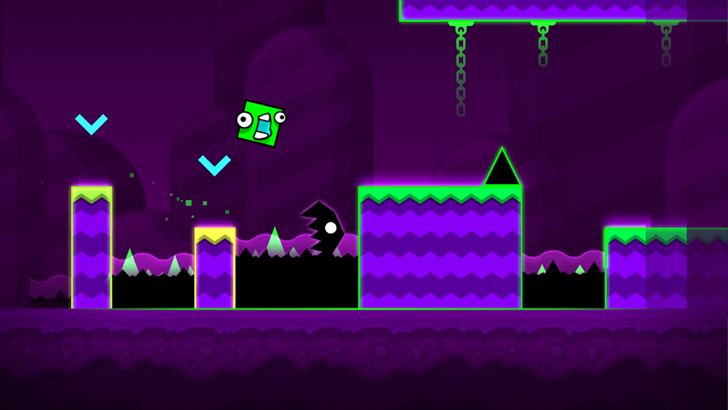 The latest entry in the series, Geometry Dash World, definitely deserves some attention. The music in Geometry Dash is the real hook, and Worlds doesn't disappoint in that regard. 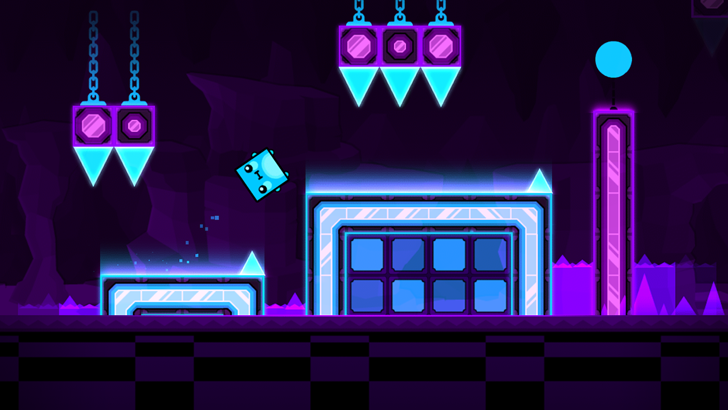 Every level is tuned down to the microsecond so that the platforms, obstacles, special boosts and warps, all correspond to the beat of whatever electronica song is playing on that particular stage. Just because it's intuitive doesn't mean it's easy - the lightning-fast shifts between standard obstacles and movement pads can result in instant death, and players will probably need several attempts (at least) to get through the twitchy stages. Even with only ten stages in the game at the moment, it will take a lot longer than you think to complete them. More stages are coming in future updates, but if you can't wait, the game incudes a level editor and access to an online gallery of player-created stages. 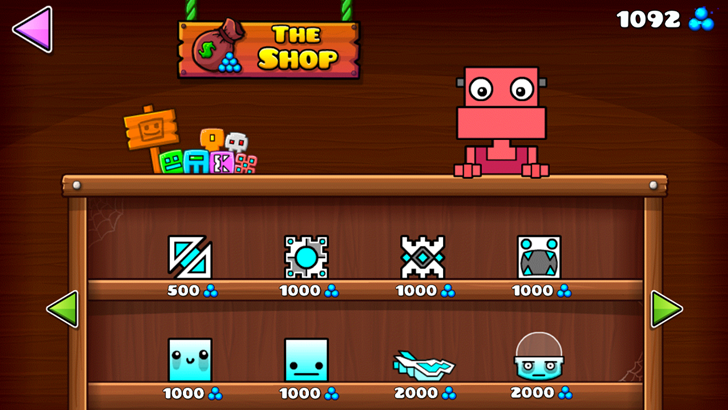 Add in plenty of customizable avatars for the basic cube player-character, and there's a lot to tide fans over until the next big content update. Geometry Dash World is free and ad-supported with no in-app purchases at the moment, though it looks like the game might enable them for currency purchases in the future.